In a recent article by Andile Sicetsha, originally published in The South African. He provides a grim look into how South Africans perceive the future of the country. All information used was taken from the South African Citizens Survey. Citizen Surveys has published a qualitative study, the South African Citizens Survey (SACS), on a range of key indicators, one of them being the direction of the country and its economic conditions. What is the South African Citizens Survey? According to Citizen Surveys, compiling the SACS took just over three years. On a monthly basis, researchers would observe 1 300 adult South Africans (18-year-olds and older) per month. In each quarter since July 2015, researchers would collect 3 900 interviews. The sample of the study was based on “multi-stage stratified probability sample, based on the Census EA sample frame”. What does Citizen Surveys do? “large-scale national household surveys, continuous tracking studies, customer satisfaction surveys and segmentation modelling. Our robust, scientific methods and quality management systems deliver superior quality information and insights that can be trusted”. 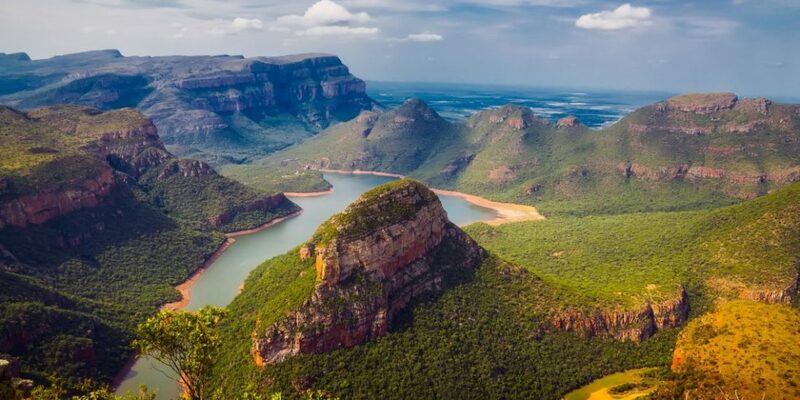 The question around whether people think South Africa is headed in the right or wrong direction provides an outlook into the country’s overall morale. Unsurprisingly, the SACS study depicted that for this quarter (Q3), the percentage of people who believed that the country is headed in the wrong direction has grown from 55% to 65%; while those who thought it was headed in the right direction fell from 37% to 28%. Trust in the Electoral Commission continues to drop and now stands at 52%. Declining levels of trust in SARS, currently at 54%, go hand-in-hand with a decline in tax compliance and revenue collections. Only four-in-ten people trust the South African Police (40%). Only one-third (35%) of the national adult population and just under one-half of the rural population trusts traditional leaders. Only one-in-five South Africans (20%) thought that the economy had improved. One-in-four (26%) said their personal living conditions had improved. 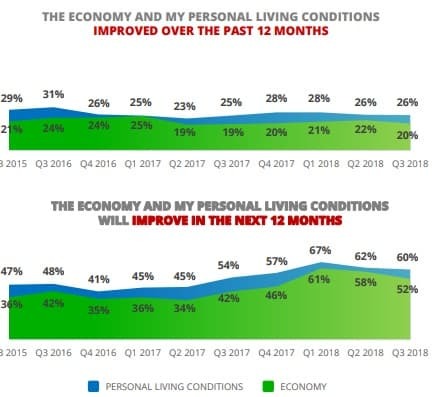 More than half of South Africans (60%) still hold the belief that their personal living conditions will improve over the next 12 months. Since the country went into a technical recession at the turn of the third quarter, people’s trust in President Cyril Ramaphosa has begun to wane. At the moment, according to the SACS, a just over a quarter of adult South Africans from every corner of society believes that the country is heading in the right direction, a notable decline from how things stood in the second quarter.